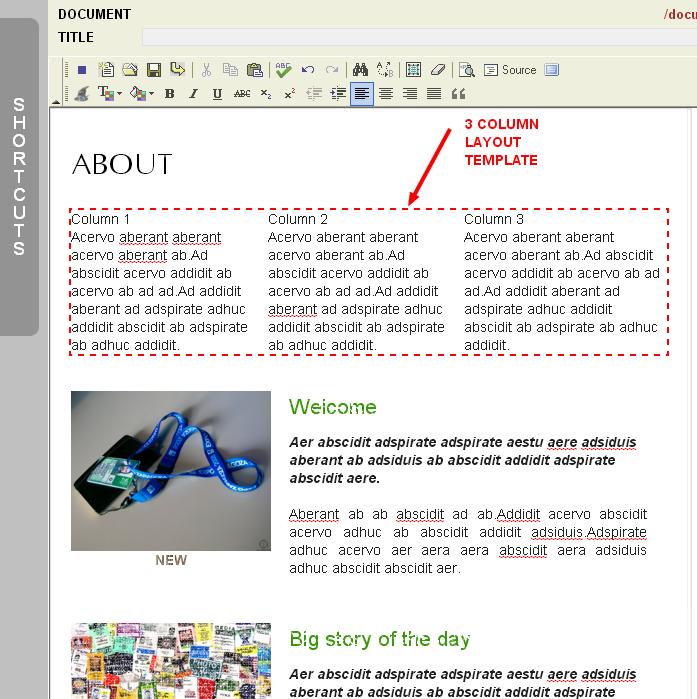 Using Content Templates in the Monkey Business Editor Learn how to use Content Templates in the Monkey Business Editor to speed up your content composition, layout and design for your Monkey Business webpages. Your User Guide to Monkey Business from AJIBOYE Monkey Business Agency. Learn how to use Monkey Business Management System to build your business FAST. Content Templates are predesigned content units that you can quickly select and embed in new compositions, dramatically speeding up content production, publishing and design. 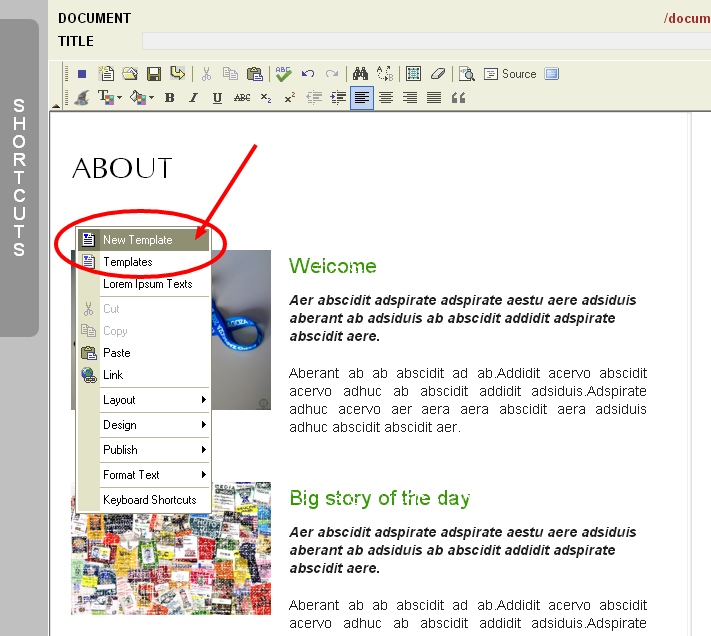 To access the Content Templates Library, in the editor, simply right-click and select Templates. Speed up your layout and structure of your compositions with our Layout Templates, found in the Layout Templates category in the Templates Library. You can then simply delete and replace the placeholder text with your own content, design and style it to your needs with the Style Wizard. 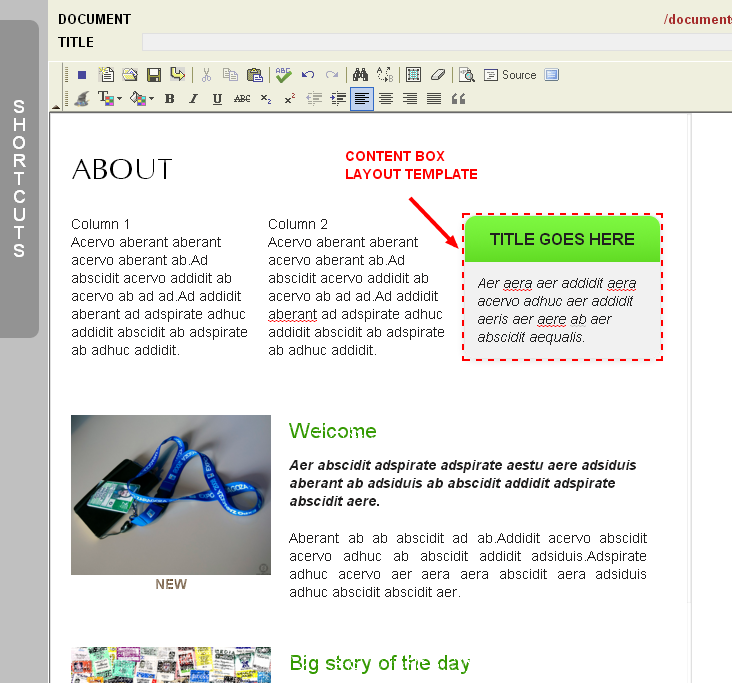 Content Boxes are Layout Templates for text and picture content presentations, found in the Layout Templates - Content Box category in the Templates Library. And...you can then delete and replace the placeholder text with your own content, design and style it to your needs with the Style Wizard. You can also create your own Content Templates, making it easier to reuse content pieces you already designed to perfection. 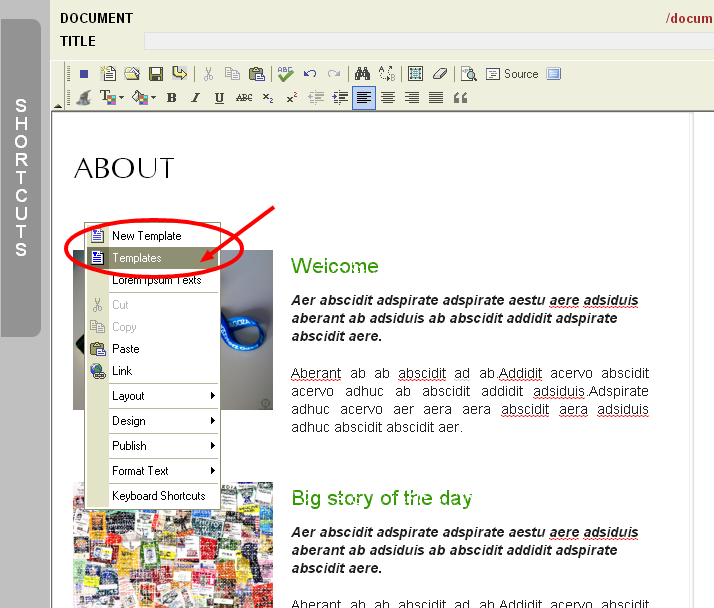 To create a new template, in the editor, simply right-click and select New Template, provide a title, and category for the template and save. 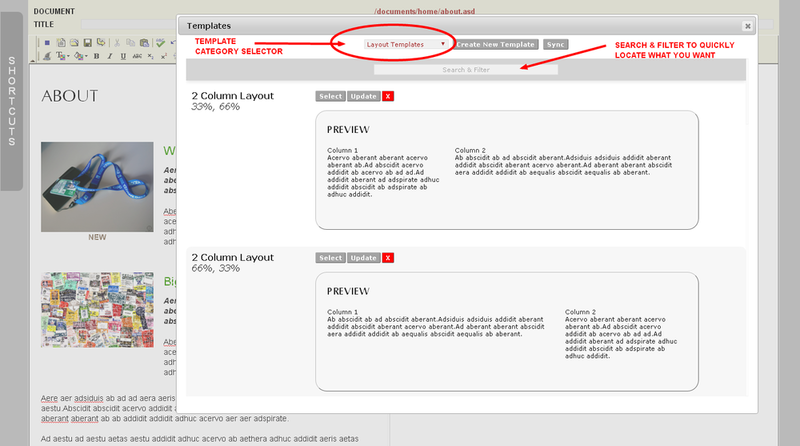 Now, to use your new template, simply open the Content Templates library, select the Category and choose it.